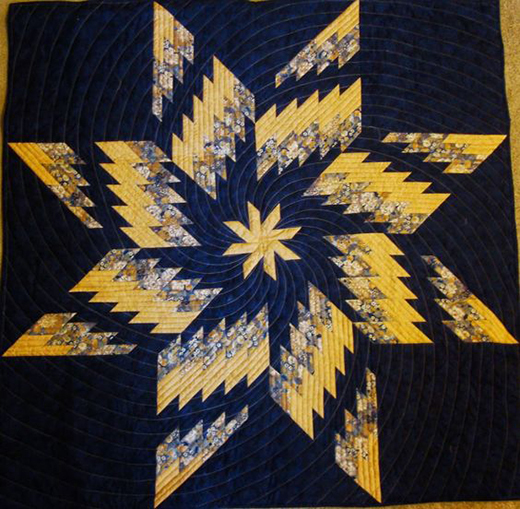 With this Pattern you will learn how simple it is to piece in a lone star block layout. Strip piecing and cutting diamonds are a few techniques you will learn in this Pattern. This Twirling Swirling Dance Quilt Designed by Barbara H. Cline of Quiltin Gal, The Pattern is available for free.